History of Magadha is recorded since 4159 BCE through Matsya Purana. Eventhough, Brihadradha established his dynasty rule from 3709 BCE with Girivrajapura as capital (present day Rajgir in Bihar), his ancestors names were available in puranas. Their reigning periods were taken as contemporary to Nepal Kings who ruled at same time. Emperor Kuru, who was ancestor to Brihadratha, was son of Samvarna. They belonged to Lunar Dynasty (Chandra Vamsam). Samvarna ruled with capital as Prayaga (present Prayagraj, which was named back from Allahabad). His son, Kuru found the place Kurukshetra (place named after him). Descendants of Kuru formed various kingdoms. At one time, Kuru kingdom capital was Āsandīvat, identified with modern Assandh in Haryana. Chandravanshi King Hasti who founded Hastinapura, was contemporary to Ikshvaku king Sagara, whose great-grandson Bhagiratha brought Akasa Ganga to earth and formed continents. This Sagara was grandson of Bharata, on whose name India was called Bharat-Varsh. Rig Veda mentions Kuru family kings. Sudās (सुदास) was one of their kings, who lead his army to victory in the Battle of the Ten Kings near the Paruṣṇī (modern Ravi River) in Punjab, defeating an alliance of the powerful Puru tribe with other tribes, for which he was eulogised by his purohita Vashistha in a hymn of the Rigveda. The ten-kings, viz. Puru, Yadu (ancestor of Lord Krishna and founder of Yadu Dynasty or Yadavas), Turvasa, Adu, Druhyu, Alina, Paktha, Bhalanas, Siva and Vishanin, then revolted against Sudās but were defeated by him. He settled in Kurukshetra and expanded his kingdom. Sudās replaced Visvamitra with Vashistha as his priest, thereby creating a rivalry between the two. Mahabharata gave the next prominent dynasty of Jarasandha, leaving some generations of kings in between Brihadradha I and Jarasandha (Brihadradha II) – (Mahabharata, Sabha Parva. Adhyayas 14 to 19). But, Matsya Purana enumerates all the names of kings between Brihadradha-I and Jarasandha or Brihadradha-II. Jarasandha, son of Bhuvana was the 15th descendant of Kuru and the tenth from Brihadradha-I, the founder of the Magadha Dynasty of kings. Jarasandha’s daughters were married to Kamsa, who was killed by Krishna. To seek revenge he attacked Mathura 17 times, which made Krishna leave Mathura and form a new city Dwaraka along with his people. To reduce number of enemies in future kurukshetra war and to end Jarasandha’s attacks on Dwaraka, Krishna along with Arjuna and Bheema disguised as brahmins, entered Jarasandha’s fort and seeked to fight with him. 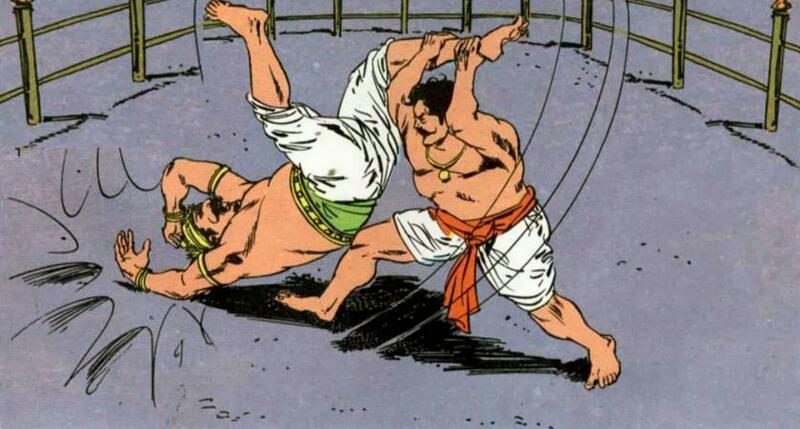 In this fight, Bheema killed Jarasandha by splitting him into two pieces (similar to the way he was born) and threw them in opposite directions. Jarasandha’s son Sahadeva wanted to avenge death of his father, but was advised by ministers to wait for big war and join Kaurava army. He was killed in kurukshetra war. 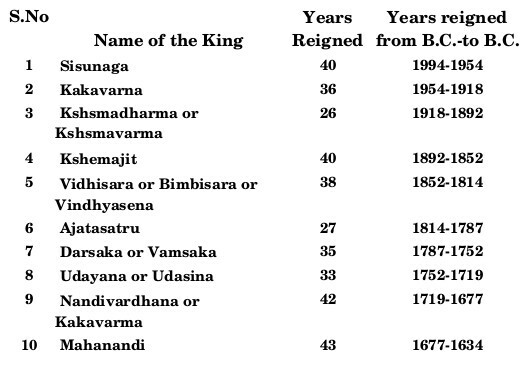 Brihadratha or Brihadradha dynasty ended in 2132 BCE and Pradyota Dynasty continued to rule Magadha from 2132 – 1994 BCE. Founder of this dynasty, Pratyota or Balaka was son of Munika or Sunaka. This Munika was minister of Ripunjaya (last king of Brihadradha dynasty). Munika cleverly managed to place his son Pradyota on the throne of Magadha by getting the only daughter of the last king married to him in the year 2132 BCE and then got Ripunjaya killed by treachery. Pratyoda becoming king was against wish of Magadha people, but Munika forcefully established his son as ruler and brought entire North India under his rule. Pratyota dynasty lasted for only 138 years. Then came Sisunaga or Sisunabha (King of Varanasi), who conquered Magadha and killed Nandivardhana. He founded Saisunaga Dynasty, which ruled Magadha empire for next 10 generations. From this dynasty, Bimbisara and Ajatasatru were famous. Both were contemporaries to Gautama Buddha. Ajatasatru became king by capturing his father Bimbisara and torchered him to death in jail. Ajatasatru invented 2 weapons and used them in warfare. They were Rathamusala (Chariot with blades in front – used in Bahubali movie) and mahshilakantaka (engine for ejecting big stones). 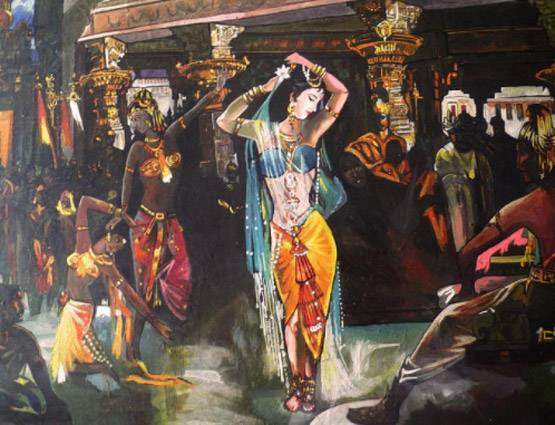 Amrapali was his contemporary and a movie was made on her story. After association with Deva Datta, Ajatasatru realized his mistakes and seeked Buddha’s protection. Saisunaga dynasty ended with Mahanandi’s illegitimate son Nanda or Mahapadma Nanda taking over as 11th king of Saisunaga dynasty, but as he was illegitimate son, his dynasty was recognized seperately as Nanda dynasty. Nanda was son of Mahanadi’s wife and a barber. So he started his own dynasty. He and his sons ruled for 100 years from 1634 – 1534 BCE. He was eliminated by his illegitimate son, Chandragupta Maurya with the help of Chanakya in 1546 BCE. Chandragupta Maurya was son of Mura, illegitimate wife of Mahapadma Nanda. 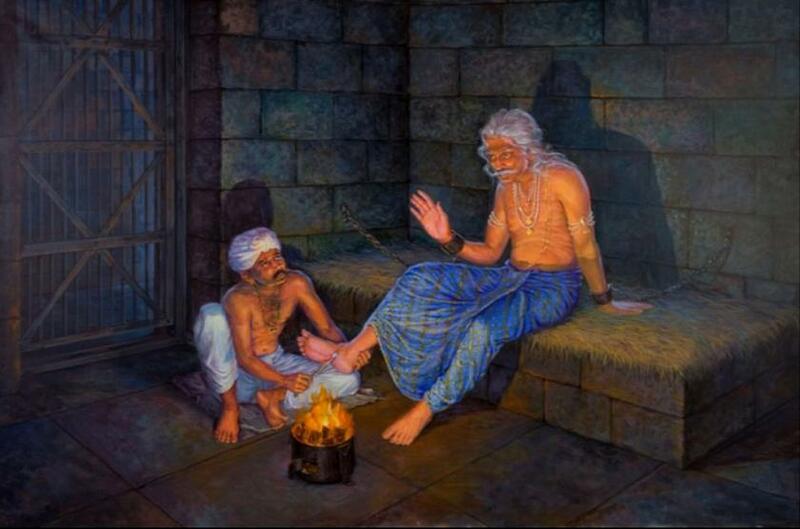 Nanda was also known as Dhana Nanda or Mahapadma Nanda for the amount of gold he collected by winning wars. Mahapadma is a number = Padma x 1000 x100 = 10^37. He buried those many gold coins in pots along the banks of river Ganga. Nanda’s 8 sons ruled for 8 years (1 year each) after their father’s death. After last brother was eliminated, Chandragupta Maurya was established as Magadha emperor by his teacher Chanakya or Vishnugupta in 1534 BCE. Because he was secretly raised and trained, he was called Chandra-Gupta (gupta – secret) and because he wanted to adopt his mother’s name Mura, Maurya was added. He started Maurya dynasty rule in Magadha. These Chankaya-Chandragupta Maurya were few generations later to Gautama Buddha and were not contemporaries to Alexander. Historians confuse them with Chandragupta of Gupta dynasty who ruled much later (327 – 82 BCE). Chankaya or Kautilya wrote Arthasastra in early 15th century BCE.